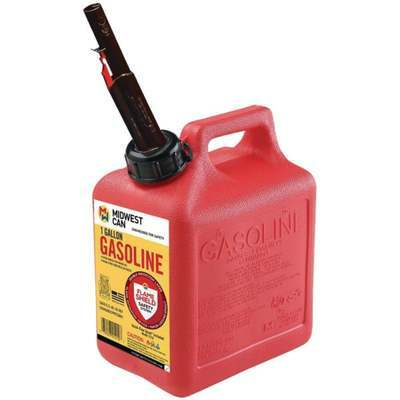 Auto shut off can with flame mitigation device. Made of durable HDPE (high-density polyethylene) with barrier materials to virtually eliminate hydrocarbon emissions. Exceeds CARB (California Air Resource Board and EPA (Environmental Protection Agency) requirements for portable fuel containers.